Sister of Sonny collection, Denny shares the same rounded shapes, comfort and soft design. Denny however is enriched by a flamed walnut rear back and by an original pressed wood base that recalls the very special trendy Nordic style. 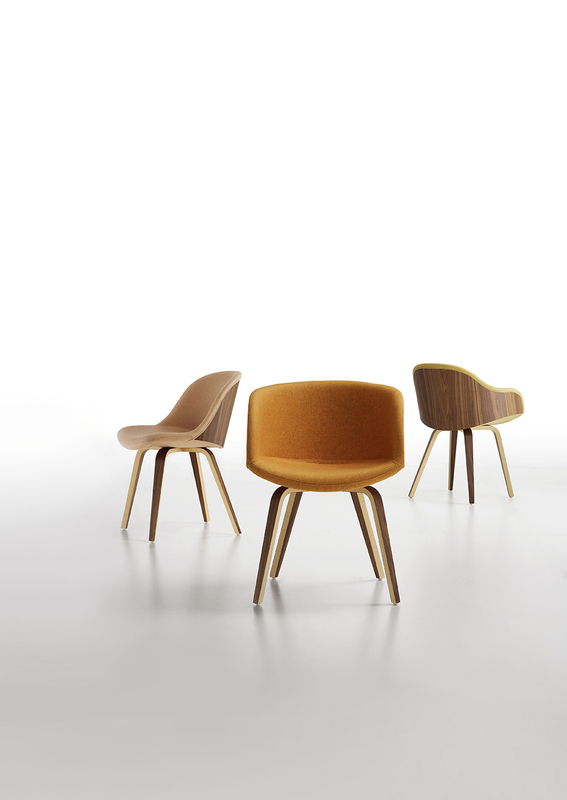 Available in the chair, armchair and low-armrest version.